Jennifer and Shadd were married at the home of their friend - a woman I'd done portraiture and theatre photography for in the past, and who recommended me to them. 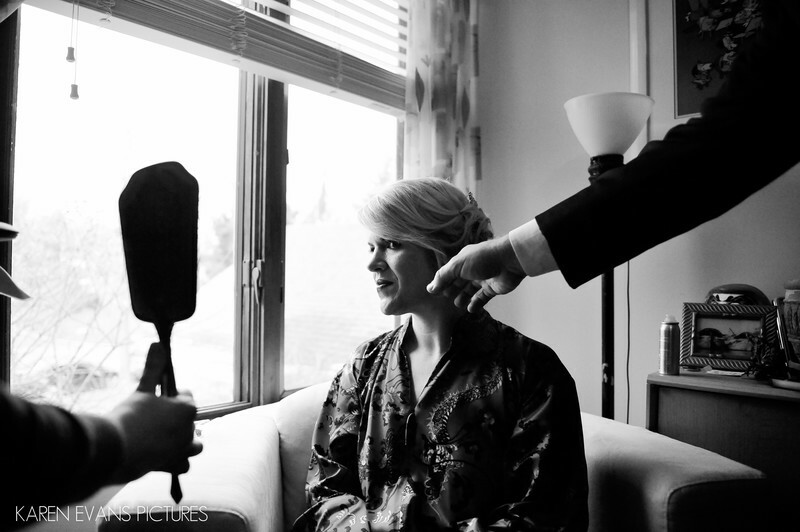 I love this photo because of the two arms coming in at opposing angles, both helping the bride with her getting ready preparations. It's a nice, quiet moment, with beautiful light.Keywords: at home (75), winter wedding (78).